Britney With a Z | Comics I Don't Understand - This site is now being updated daily at http://www.comicsidontunderstand.com. Please change your bookmark if necessary, and notify any web site with a link to the old address. 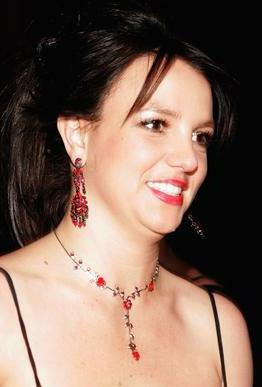 When did Britney Spears begin morphing into Liza Minelli? Add a couple photos: Brittney before, and Liza now. I agree the picture is, um, compelling … but us more socially clueless ones might use a little help. I don’t know if this phenomenon is frightening or reassuring. Ctdonath, if you don’t already know what Britney did and Liza does look like, the horror of the situation will be lost on you anyway. Funny how people always assume a woman will look at 25 the way she did at 14 or 18. It doesn’t work that way. I wasn’t really commenting on her apparent age, Charlene, but since you brought it up… It takes a lot of hard living to look this old at 25 WHEN just a few years ago you were a beautiful young woman AND you have a team of make-up people at your beck-and-call. We’re not talking about how Britney looks when she rolls out of bed in the morning, but rather how she looks with professional assistance you and I could only dream of. FWIW she looks like Karen from the _Penny & Aggie_ comic.